Currently viewing the tag: "Supreme Evil"
I've said it before and I'll say it again, no matter how immersed one becomes in a specific music scene, you simply can't be aware of every band in that scene and part of the fun in life is discovering new bands and eagerly delving into their discography. I was unfamiliar with the work of Diabolic although they have been cranking out extreme death metal since 1998 in relative obscurity. Around that timeframe, I was in my "all death is good death" stage so I'm surprised these guys got under the radar, but, so be it. 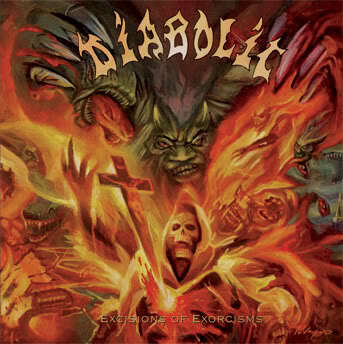 After a four year absence since their last platter, Diabolic now unleashes their fifth album, Excisions of Exorcisms and with this album, I'm getting onboard the Diabolic bandwagon, although not necessarily due to this album. Allow me to explain.